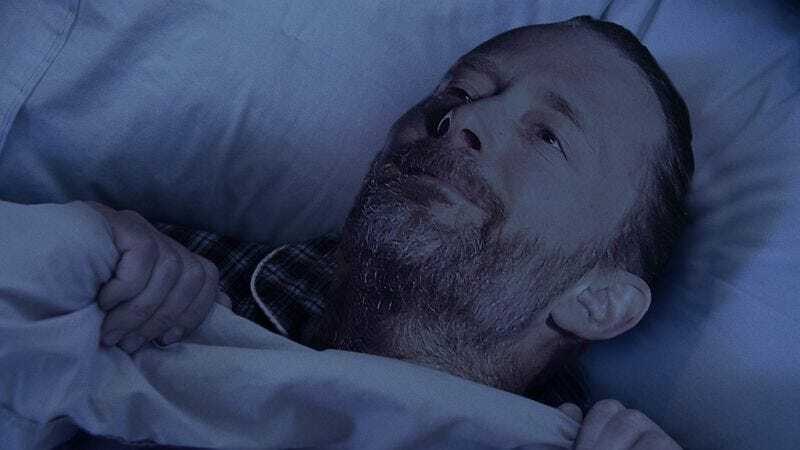 OXFORD, ENGLAND—So unable to contain his excitement he was nearly squealing aloud with glee, giddy Radiohead frontman Thom Yorke reportedly went to bed as early as he could Saturday night in an effort to make the morning of the Grammy Awards get here sooner. “Grammy day is my favorite day in the whole wide world,” a giggling Yorke said as he eagerly snuggled up beneath his covers, his bedroom strewn with drawings of Grammy statuettes and magazine cutouts of today’s biggest pop superstars. “I get to see all my favorite singers perform on one big stage, and there are bright lights and neat costumes and tons of funny jokes about music. It’s the most fun day ever! I wish I had a time machine so I could make it be Grammy day right now.” According to sources, Yorke then briefly scurried out of bed so he could lay out his Grammy outfit, making sure it was ready to go for the big day.